Mortgage interest is a double-edged sword. On one hand, it's a tax-deductible expense, but, by and large, it is the heaviest cost of homeownership. Of course, deciphering how much interest you have left to pay off on a mortgage can be tricky. Here are a few quirks to be aware of if you're looking to buy or refinance a home. 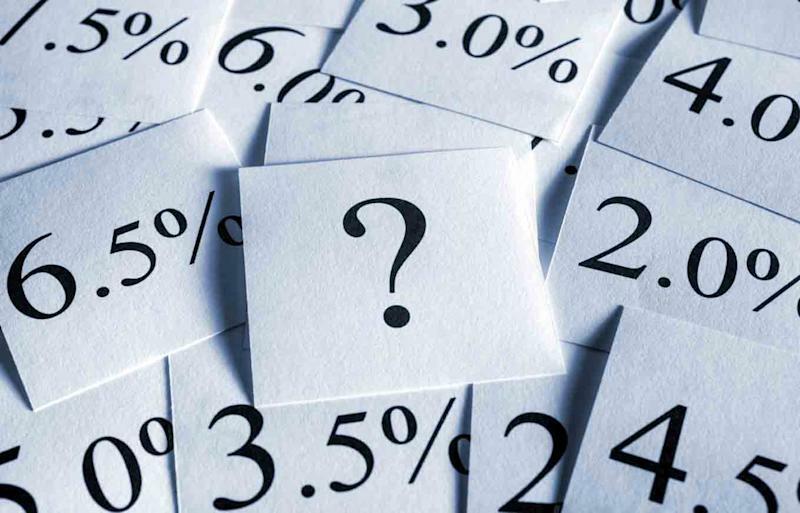 The amount of money you're borrowing is based on a certain interest rate paid over the term of your loan. The longer the term the more interest you pay, spread out over the entire life of the loan. A shorter-term loan is more condensed with a higher payment each month, but less total interest paid overall. Like rent, loan interest is paid in months. When you start paying your 30-year mortgage, for example, part of your monthly payment will go to principal, but the lion's share goes to interest. It is not until year 10 that the inverse occurs and more of the payment starts going to principal. The majority of the principal will then be paid off during the remaining 20-year term left on the original 30-year loan. Rent is due on the first of the month for that month's obligation. Mortgage interest works in arrears. When you make your mortgage payment at the beginning of the month, you are paying the interest of the previous month. Remember, a good credit score entitles you to better rates on your mortgage, so it may be a good idea to check yours before you apply for the loan. You can see your credit reports for free each year at AnnualCreditReport.com and your credit scores for free each month at Credit.com. Keep in mind that when you refinance, your principal balance on a credit report or mortgage statement is not a payoff amount. The payoff is always higher than the current principal. That's because the lender must estimate the amount of interest they need to collect before the loan term is up. The simple way to estimate a payoff when you refinance your home is to add a mortgage payment to your current principal. While this is not an exact calculation, it is a safe budgeting estimate when determining what you want your new loan amount will be. Most mortgage lenders are nimble enough to tie your recent loan payment to your payoff amount. This is also a way to make your numbers lower at loan settlement (escrow closing). But if your loan is closing just after the first of the month and you've already made your mortgage payment, the payment could be refunded to you after closing or put towards the payoff amount. Refinancing your home does not mean skipping a mortgage payment. Let's say you close your loan Oct. 15: your new lender would begin charging you interest from the date that they finance onward. This means you begin incurring interest from Oct. 15 through Nov. 1 with your first payment on the new loan not due until Dec. 1. While you do not make a payment in the first month after refinancing, you are still paying for it in interest as part of the next month's payment. The same interest concept applies when you close on new home purchase. Your loan estimate will show the amount of prepaid interest your lender is using to estimate the amount of time it will take to close on your new loan. The prepaid interest amount can be adjusted based upon your closing date. Referencing our October loan closing examples: if your loan closes just after the first of the month (say Oct. 5), you won't have to make a mortgage payment until Dec. 1. All of the interest for November will be reflected in the Dec. 1 payment and the interest for October will be collected at closing in the form of prepaid interest. Interest is a driver of cash-to-close and is a re-occurring cost, meaning it's an ongoing expense of homeownership, just like property taxes or insurance. The more informed you are as mortgage borrower, the smarter choices you can make when applying for a home loan. Remember, if something does not jive within the origination of your loan, ask your loan professional. They should be able to clearly explain any and all related mortgage interest questions. What's a FICO Score? Does Mine Matter?